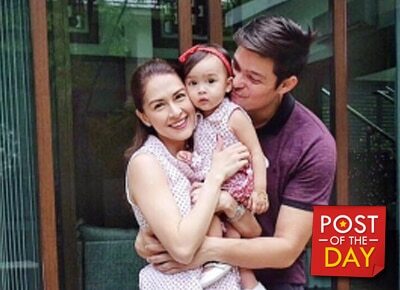 Marian Rivera and Dingdong Dantes flew to Bali, Indonesia with their baby Maria Letizia. The couple posted photos of their family trip on Instagram. They also visited the Bali Zoo. It's a tie! ?????? #aroundZworld ???? @loveluxebags ?? ?? by: @dongdantes ?? #aroundZworld ??? ?